I took a break from my daily routine and decided to go and explore new horizons. Stay tuned for new Polar Bear adventures. Oh, it feels good to refresh in the Indian Ocean. 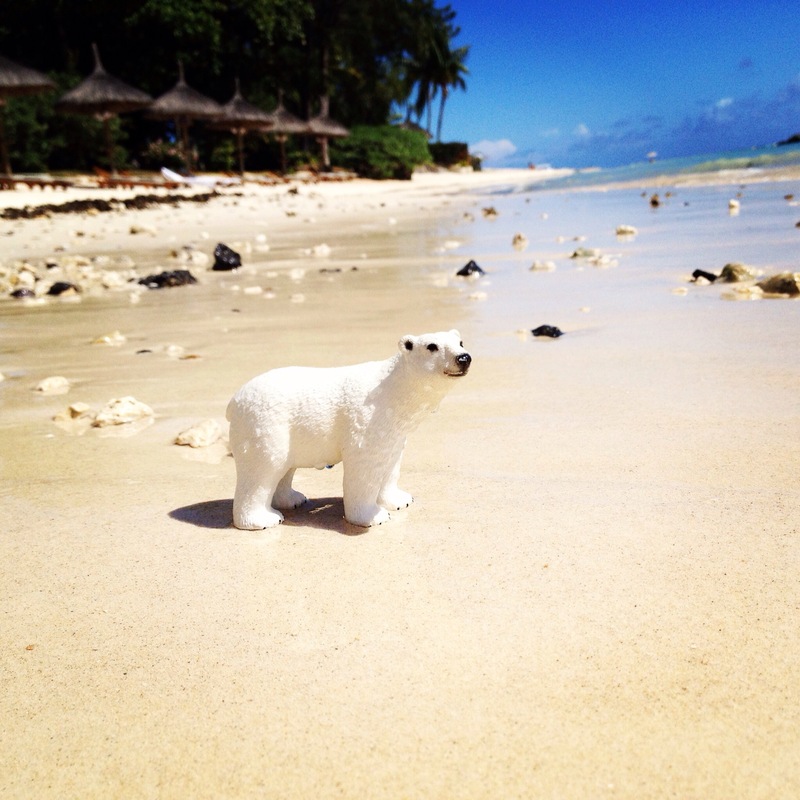 This entry was posted in Mauritius, Travelling and tagged beach, bear, ile maurice, image, island, mauritius, photo, photography, photos, polar bear, sea, shore, traveling, tropics, waves. Bookmark the permalink. Hoping he didn’t get a heat stroke!